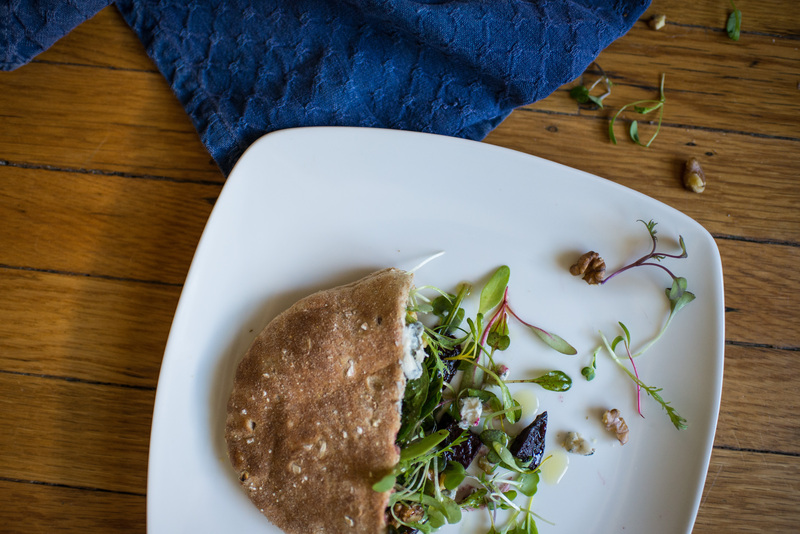 The combination of beets and blue cheese is a glorious one. Try roasting the beets to give them great texture and taste. 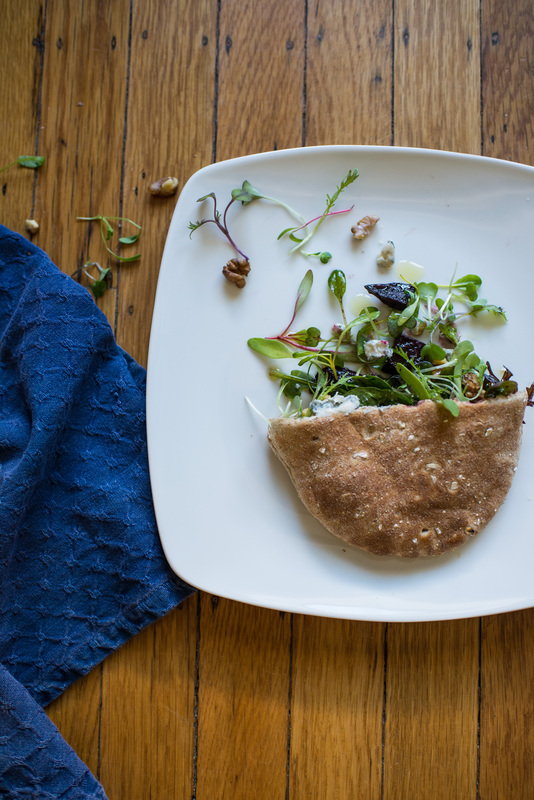 Works great as a salad of course, or stuff it into a pita pocket for lunch or a light dinner. Roast the beets: Preheat the oven to 400 degrees, slice the stems of the beets off and chop beets into thin, ~1 inch chunks. Place on baking sheet, and lightly toss in some olive oil, salt, and pepper. Roast for 35-40 minutes, turning beet chunks 1/2 way through. By the end, they should be tender and slightly crisp on the edges. Let cool for several minutes. Toss micro greens with olive oil, balsamic vinegar, salt, and pepper. Add roasted beet chunks, blue cheese crumbles, and the candied walnuts, toss and add more olive oil and balsamic vinegar if needed. Stuff pita pocket full of salad mixture & enjoy!